Painted cabinetry has been growing in popularity, and many homeowners have embraced taking on DIY painting projects for their kitchens. 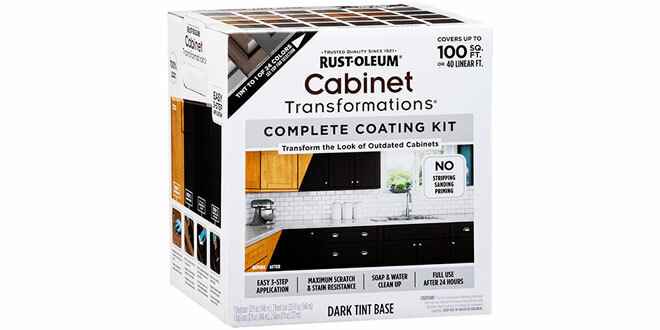 Rust-Oleum makes this project easier with their Transformations Cabinet Kits, including everything a DIYer would need to refinish multiple cabinets. Works on either wood or laminate and is available in over 20 tints.